The Empty Nest Syndrome: A general feeling of loneliness that parents/other guardian relatives may feel when one or more of their children leave home. While more common in women, it can happen to both sexes. The marriage of a child can lead to similar feelings, with the role and influence of the parents often becoming less important compared to the new spouse. One of the main differences between parents in India and the Western World (including Australia) is that at some point of time all parents in the west go through the empty nest syndrome. In India it is very common for young adults to live with their parents for their whole lives, even after they get married. The social setup in India makes children more dependent on their parents than the children in the west. The kids in most western countries such as Europe,USA, Mexico, and Australia are encouraged to become independent from a very early age and most of them move out of their homes after high school and certainly after they get married. It’s certainly looked down upon for a young adult to stay with his parents even though he maybe making a decent living himself in these countries. In fact any young adult say 23 or older living with his parents is termed a K.I.P.P.E.R short for “Kids In Parents’ Pockets Eroding Retirement Savings“. While it is true that most parents in the western world encourage their kids to be on their own completely it is also true that most parents wouldn’t mind preventing the empty nest syndrome. The soaring real-estate prices in the big, populous and commercial capitals of the world like Sydney, New York, London etc is slowly and gradually bringing about a social transformation where more and more kids are becoming Kippers. The Sydney Morning Herald reports here that almost one in five people in Australia aged 25 to 29 are still living at home, compared to just one in 10 two decades ago, figures released by the Housing Industry Association show. And about half of people in their early 20s are also living at home, whereas two decades ago this proportion was two in five. The demographer Bernard Salt said living at home was often a lifestyle choice by financially savvy young adults. 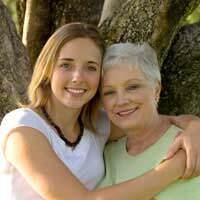 “If mum and dad are picking up the tab, then the quality of life that you can lead is much better.” This trend is also catching on in the US with Dennis Prager from WorldNetDaily reporting here that an unprecedented number of American adults are living with their parents. Most obvious is the increasingly common phenomenon of men and women returning home after graduating college. It is interesting to note that most of the changes in family structures and dynamics have taken place after World War II mostly in the last 40 years, thanks to increased personal mobility and better lifestyles. Well, if history repeats itself then it seems likely that parents of the future wouldn’t have to worry about the empty nest syndrome too much.